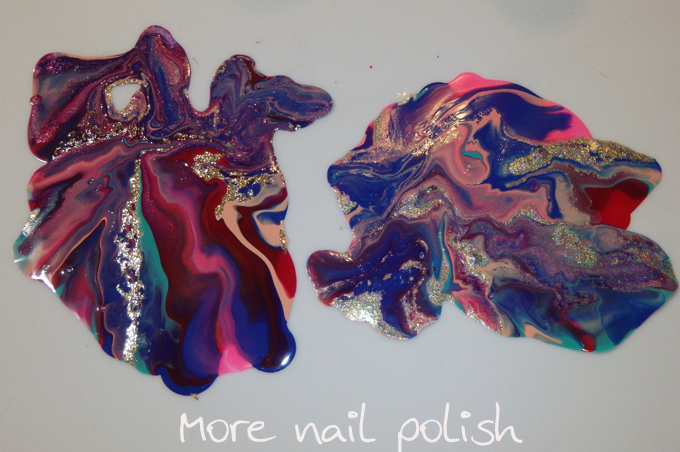 It's not often that I get to try new nail art techniques. 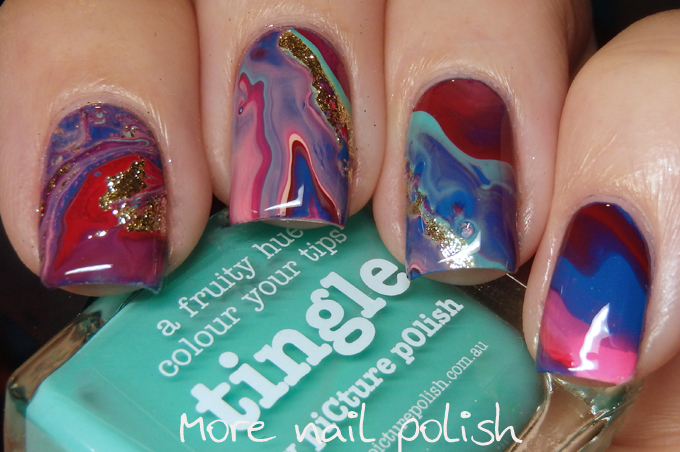 I generally feel like I've tried them all, but this is a relatively new one called drip marbling. 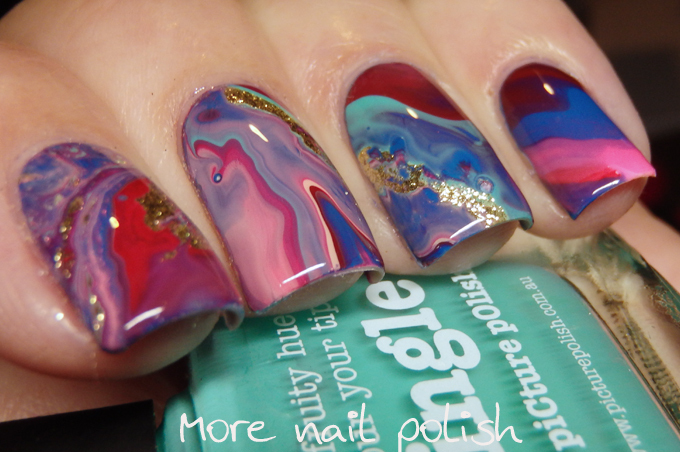 The technique involves putting drops of polish onto a plastic bag or plastic lid or something and then holding it different ways so that the polish slides and drips over itself creating random marble like patterns. We tried this technique for the Digital Dozen November birthday's, which starts with an inspiration photo. Here is the inspiration photo. Here are my drippy bits on a piece of zip lock bag plastic, after they had dried for about 3 hours. 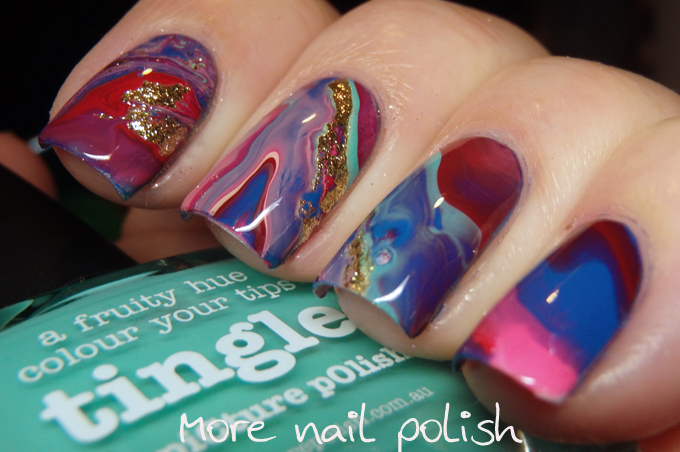 This is definitely a mani that you have to plan ahead! Looks so neat! So wish I had planned better and had, had time! Although this drip marble thing is intimidating! Haha!!! 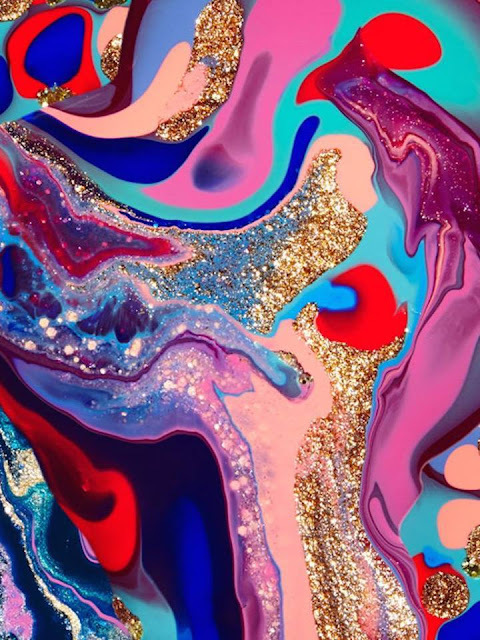 It really does look like the inspo pic! So beautiful! Love this technique! 1) I really hope your ankle and foot are healing ok! 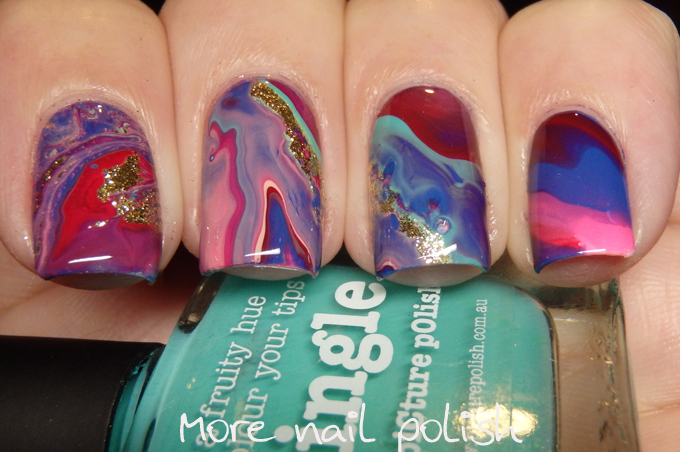 2) come back, your Christmas manis are always some of my favorite ones on the internet and I want to see them!